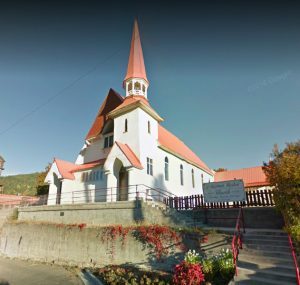 Seven Summits Centre for Learning (under Visions for Small Schools Society) has signed a letter of intent with the Community in Faith Pastoral Charge (Rossland/Trail United Church) to lease the Red Roofed Church in Rossland for their new learning space. Renovations are underway, and they will be moving in late August and starting classes in September in the new space! This is an exciting step forward to fulfill the Centre’s mission to ensure Seven Summits is an affordable and diverse learning centre that nurtures local, Canadian and international grade 8-12 students in a supportive, flexible, experiential and academically-focused environment. CIF Pastoral Charge will still use the main church area for its services on Sundays, making it true community co-operation that works for both organizations!